Last Thursday Elaine and I were working on our own projects in the Den. She was working with material, whist I had a commission box frame to complete, I'll show that after the significant date! The make that Elaine was working on is intriguing. You fold small squares of material in a special way then pinning to a polystyrene ball. Looks really complicated but I am intrigued and look forward to seeing the complete bauble. 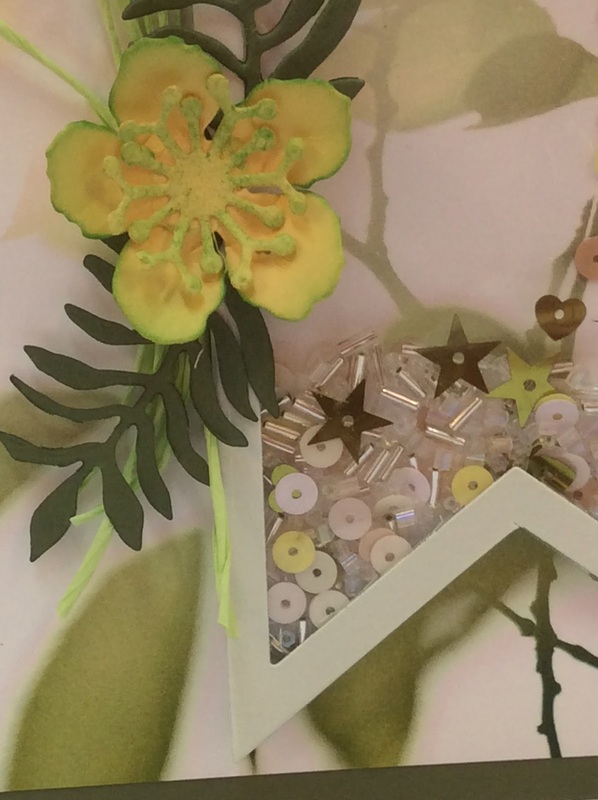 Its a home decor item suitable for hanging from a drawer or cupboard handle. I have one that a good friend gave me some years ago, I have it attached to the storage box I have for bling, (bling being pearls and rhinestones). It means I can find that box quickly and easily. The pinning, although you can't see the pin she was too quick. The other end, all folded and pinned. Do you fancy coming and making some of these? This was a new style of make for me. 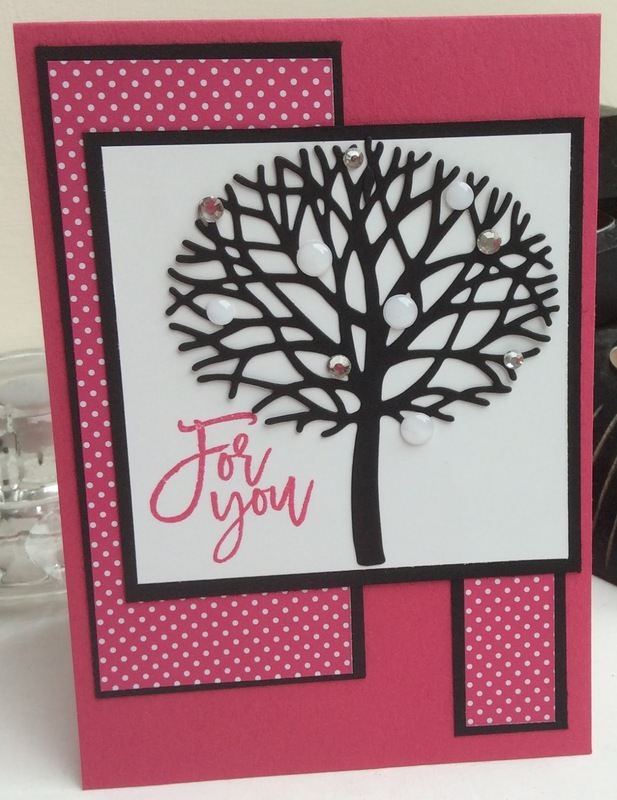 Pop up cards are not something I have made before but its good learning something new. I have used some designer paper from my stash and for the pop up bits they are lots of bits from my bits box but that doesn't matter as you can't see them! I decided to use the baby bear as he's a good size image for the front. And then I thought why not add a santa hat and a scarf, they are from the penguin/snowman stamp set. We all love to mix and match. 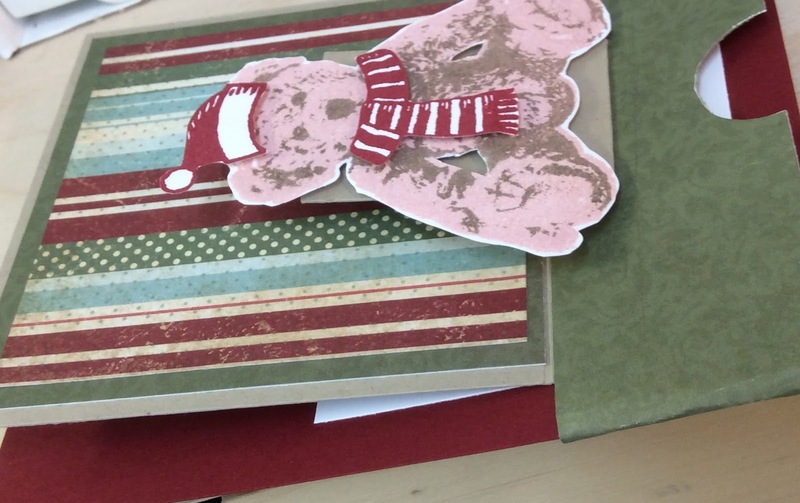 This one shows the card folded flat and it fits in a standard C6 envelope. Would you call this a fancy fold? Today its just stamping. 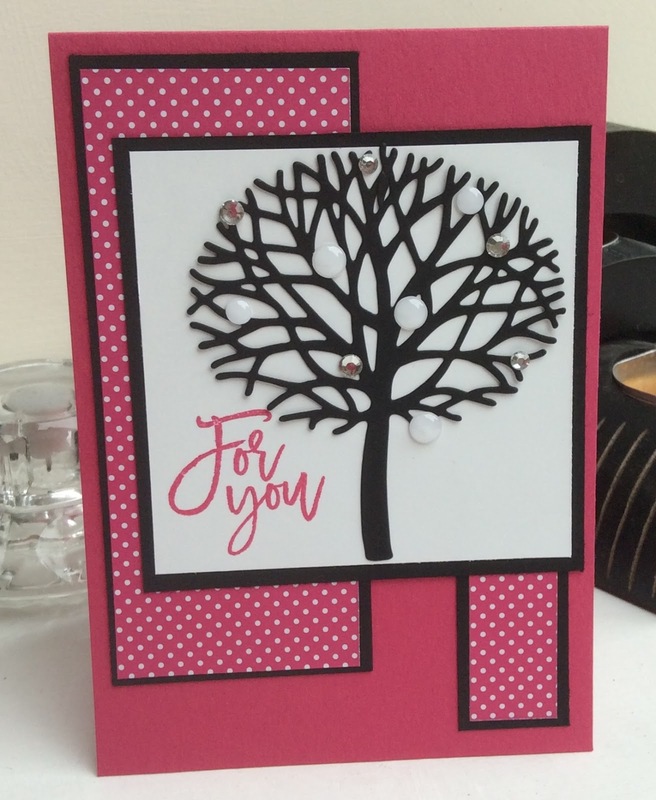 However I have used the large tree stamp, its just the leaves but I have stamped them onto a narrow strip. The sentiment is from the 'Cottage Garden stamp set. I have used some of the sahara sand lace ribbon which is in my stash. The base card is in crumb cake and I have stamped in crumb cake. The matt layer is soft suede. We have so many lovely neutral colours you could do a whole series of these. Back to die cutting today. Again simple, in pink and black! I started with a piece of the 'Pop of Pink Designer Paper'. 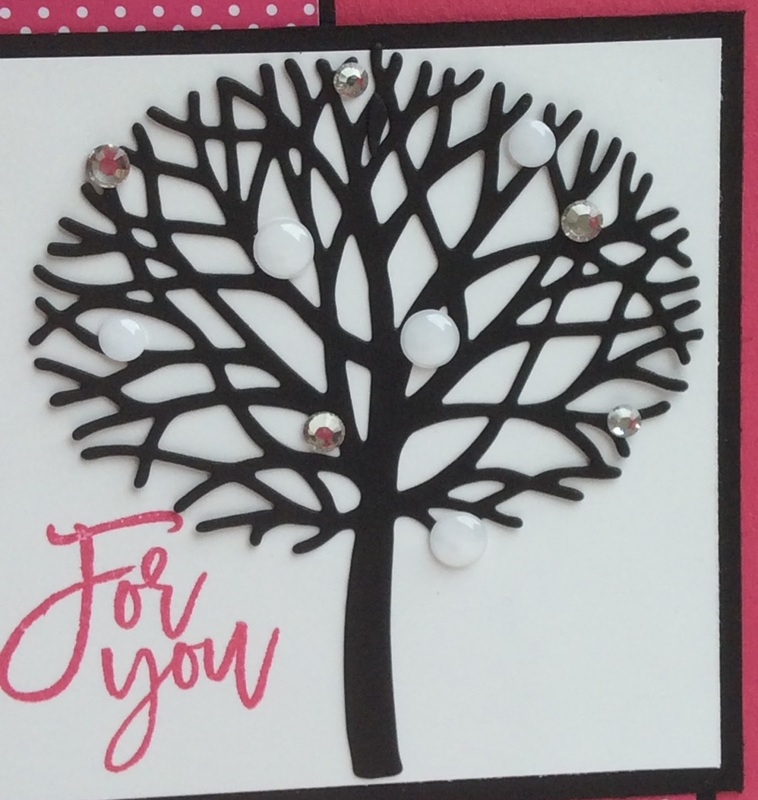 I teamed it with black and then die cut the tree branches in black. I have added a few rhinestones and white perfect accents. The sentiment is from the stamp set and a good size. It will fit into one of the circle punches. Yes you can do Christmas with this set and I have lots more ideas for using this as a christmas stamp set. 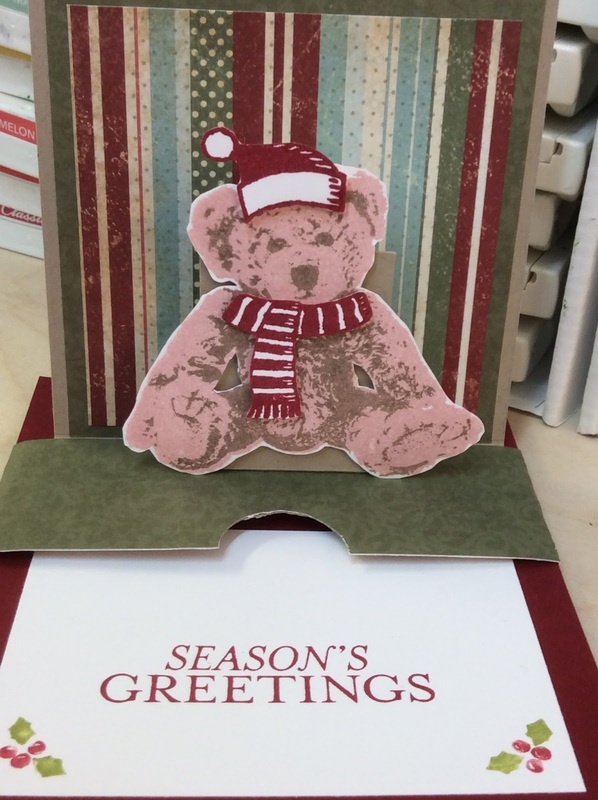 This is the first card.I have used the torn paper technique for the snow. The 'merry' is a die from the 'Christmas Greetings Thinlits'. and 'christmas' from 'Holly Jolly Greetings'. I enjoy the torn paper effect for the snow and doesn't that soft sky blue look cold. This second card is much simpler. 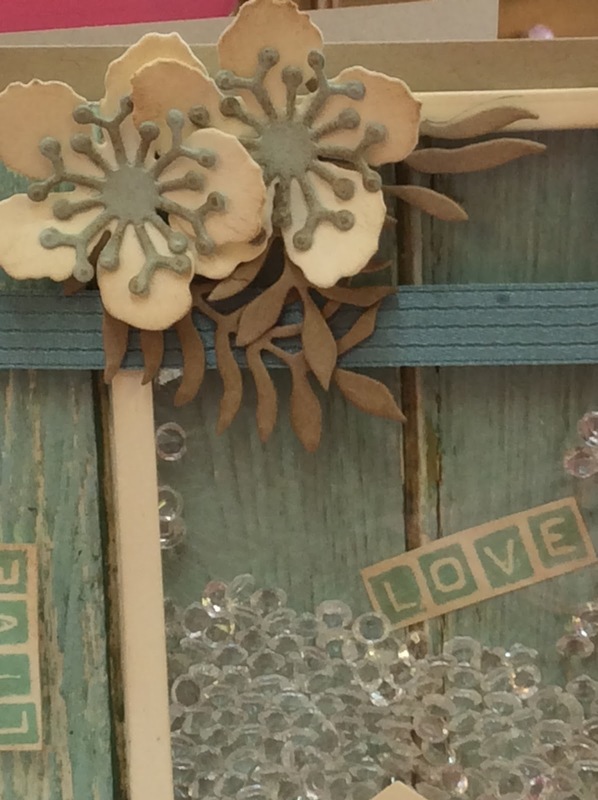 The sentiment is from the 'Embellished Ornaments' stamp set and the wooden snowflake is out of my stash. The robin is in the stamp set, there are two little birds each facing a different direction. I have used the aqua painter to add the red chest. 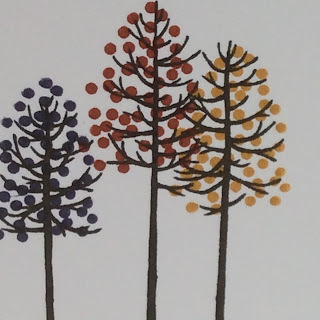 The tree is two stamps, the trunk and branches then the leaves over the top, this does give you the opportunity to use 2 different colours easily. 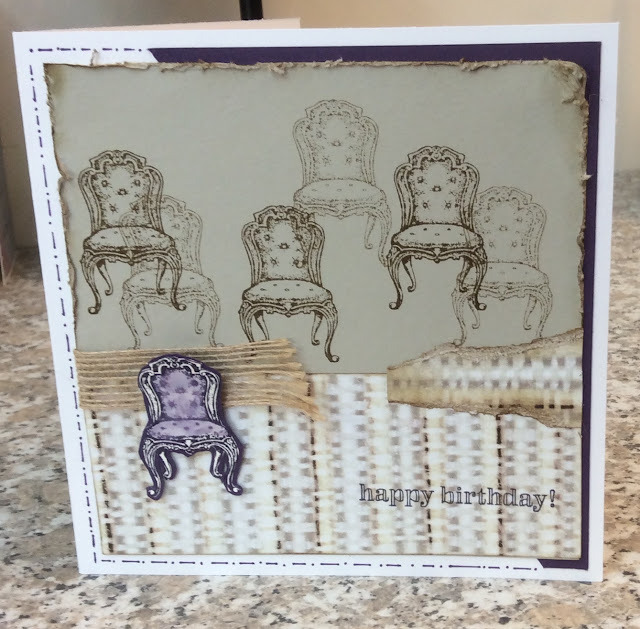 Not much stamping yesterday, no die cutting today! 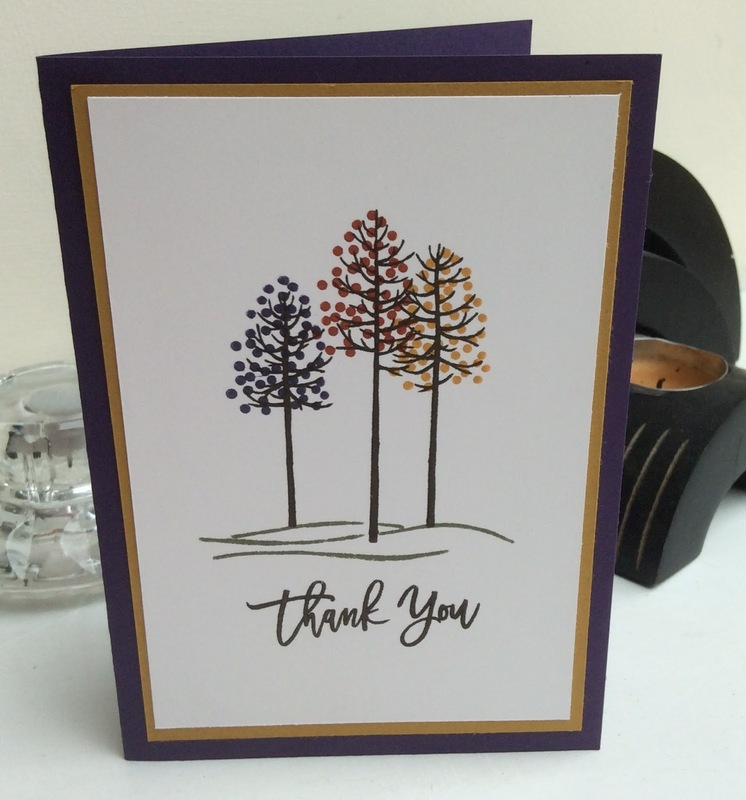 I have just sent out lots of parcels, these are the 'Thank You' cards I enclosed with each one. All stamps are from this set. Another very simple card. It uses 4 of the 23 stamps. 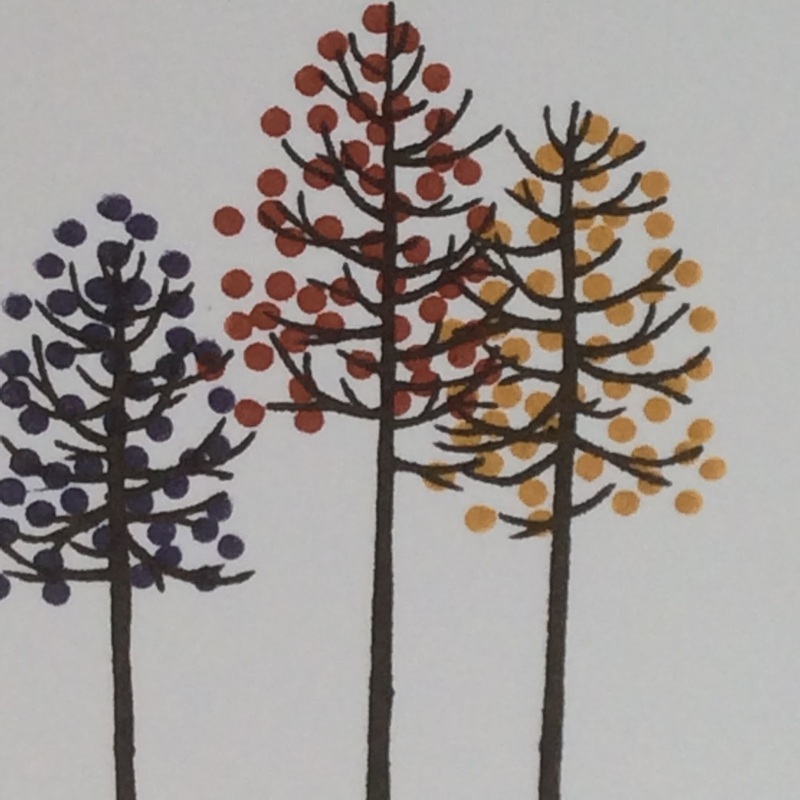 The idea os the colours for the trees came from a previous card I made that I had cased front the catalogue. For this thank you card I have used, 'elegant eggplant, cajun craze and delightful dyjon' It does have an autumnal feel. A bit of a change this week. 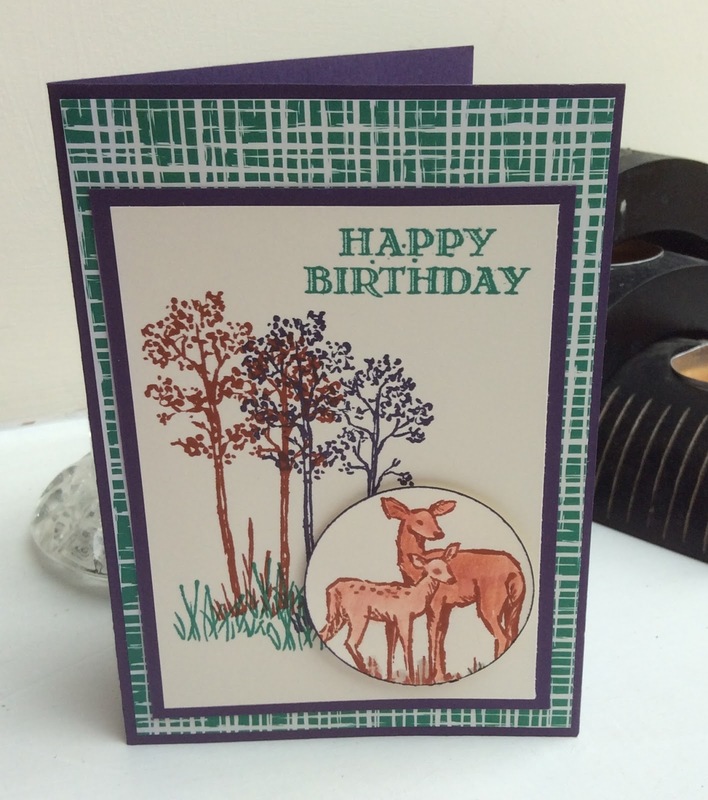 Although todays card does use the Serene Scenery Designer Paper Stack. 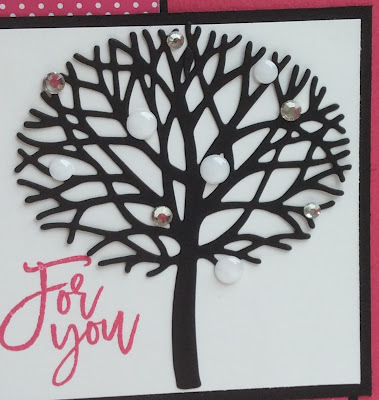 Today I am introducing 'Thoughtful Branches stamp set and dies. Its not in the annual catalogue as isn't available to order until 2nd August. Its a special order just for the month of August .....and its brilliant. I have made a range of cards that I am going to share with you this week, then I will post something using it every Thursday during August. It is being sold as a bundle which gives you 10% off buying the stamps and dies separately . The stamp set has 23 stamps and the die set is 9, so very good value for money. Today I have a card that is similar to many, not much stamping but using the largest die. It reminds me of Hydrangea bushes, the ones that are either pink or blue depending on your soil type, however I have done mine in white. 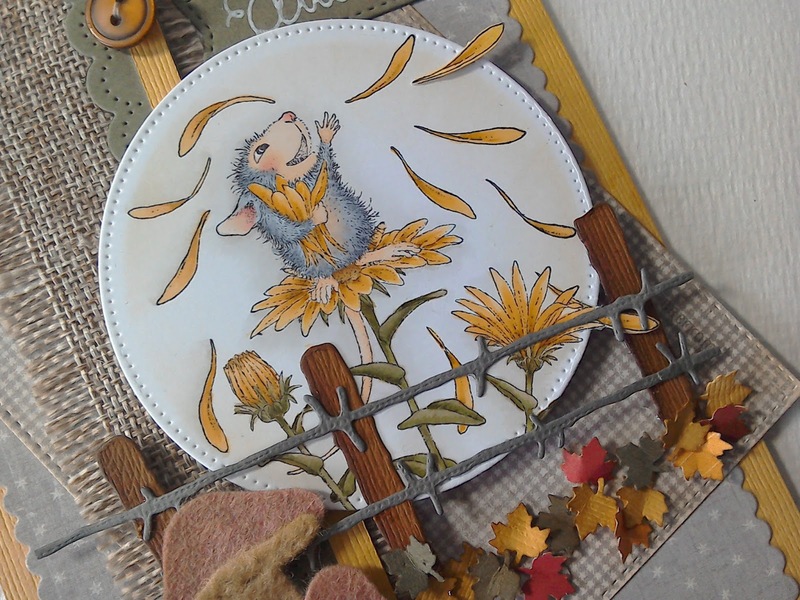 Isn't that delicate, I love the leaves, I can see so many autumn cards done with that, perhaps that will be my make next week. 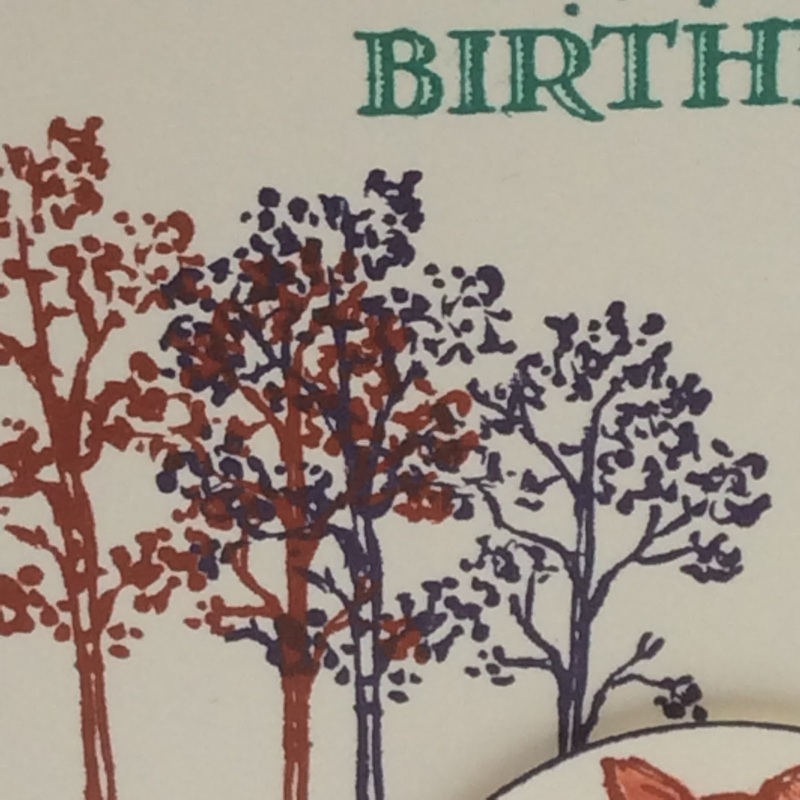 Thoughtful Branches, not available until 2nd August. On Saturday August 6th (2 weeks today) we are hosting a workshop in Our Creative Den, to be run by Clare Rowlands of Molly Bloom and Daisy May fame. The workshop is about colouring with alcohol markers e.g. : copics, pro-markers or similar. 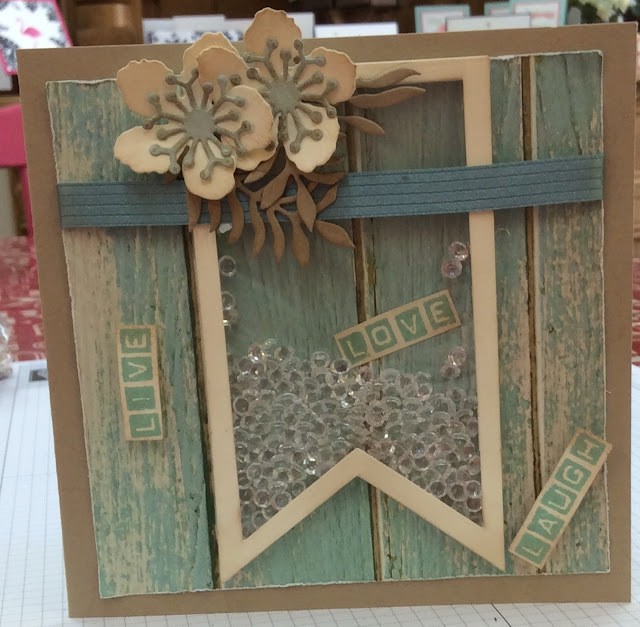 You will learn to blend the colours whilst making a delightful project. Clare has a very distinctive style to her work, she uses embellishments and buttons to great effect. 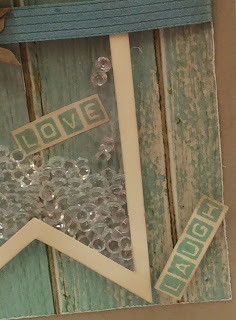 This is a sneak peek at what we will be making. I have returned to the paper used for the first card yesterday, it does have an intriguing appeal, not sure why! Today I have used baby bear, but this is an adult card. Inside I have printed.......You are still my teddy bear, Happy Anniversary. Thats a bit different isn't it? Isn't he sweet. Again I have gone for grungy, I've daubed and distressed the edges of everything, I stitch stamped, not straight - on purpose the edge of the bear piece, added a bit of burlap a button and some bakers twine. I think this one might be a keeper - love it. What do you think? Not shaker cards today....... weren't they lovely. 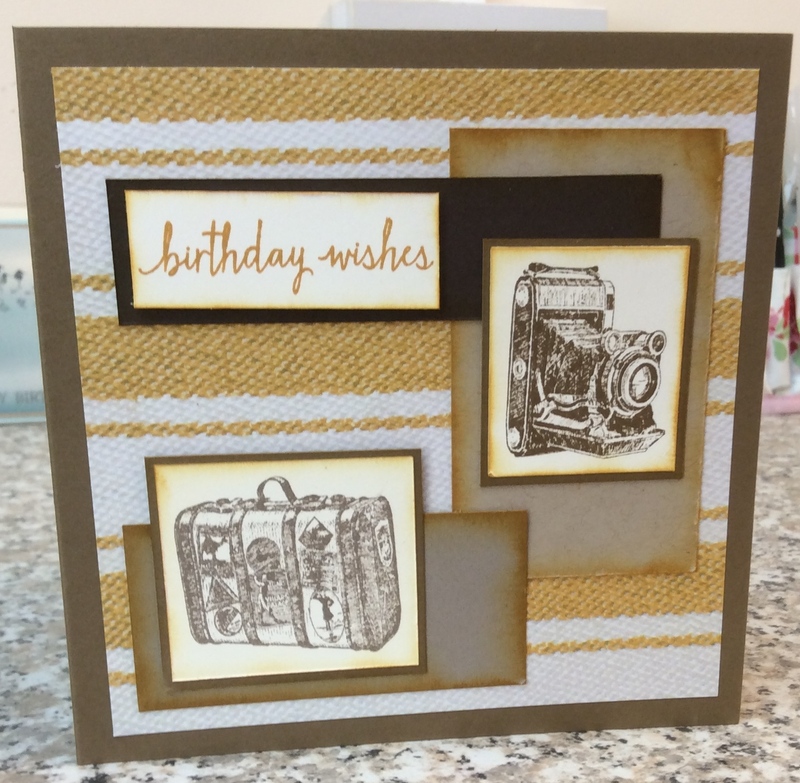 Today I have a trio of cards, using three more sheets from the Serene Scenery paper stack. The first card is one of my typical grungy cards. The detail is this little chair from the 'In this world' stamp set. Can't you just imagine sinking into this chair with a good book, I wish! 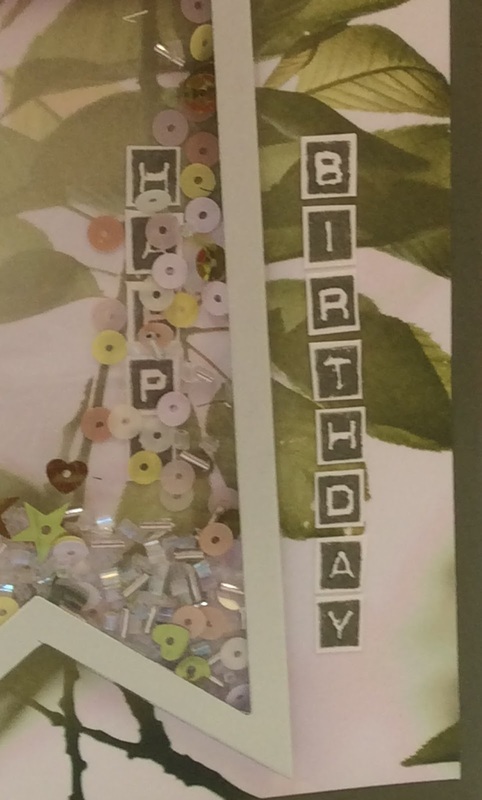 The paper in the lower half of the card is from the paper stack, I'm not sure if its a woven fabric but thats what it made me think of. I have added some of the new burlap ribbon and then a little of the paper that I have torn and daubed. Around the edge of the paper I have hand drawn the pattern around almost half but added a card layer to the other half. Just a little bit different. 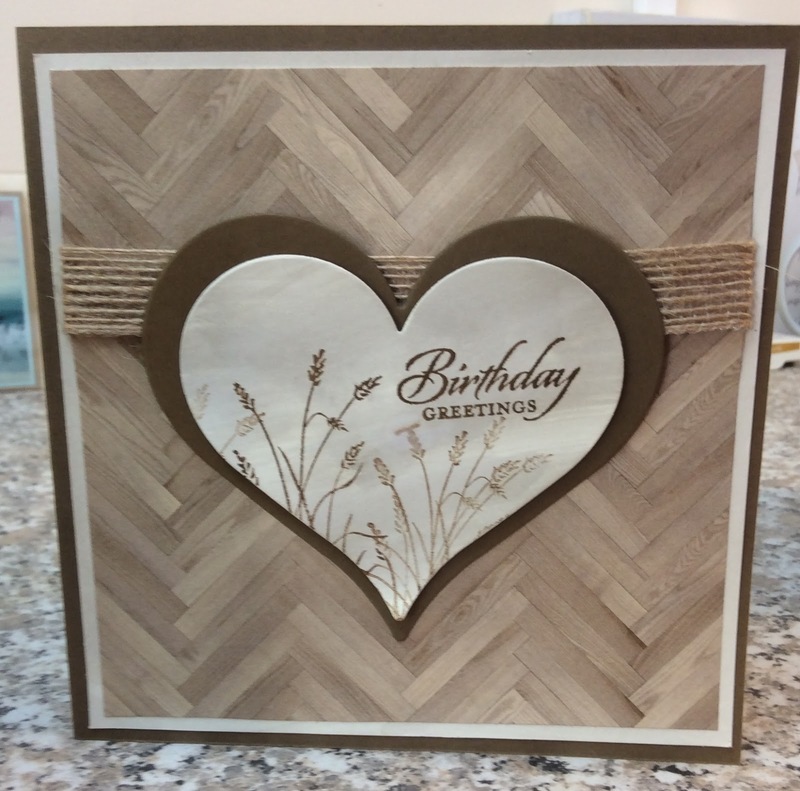 The second card is very clean and simple although there is a lot of daubing! The background is another sheet out of the paper stack. This made me think of woven deckchair covers or those stripes you get on the edge of posh towels on cruise ships. Hense the suitcase and camera from the 'Traveler ' stamp set. 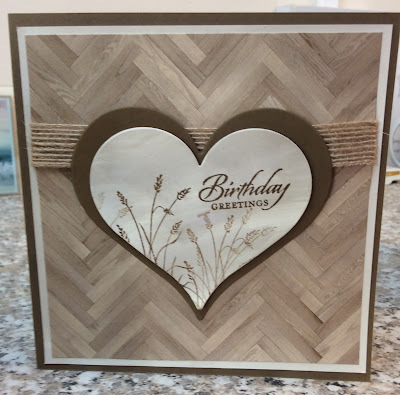 And finally a card made by Elaine, The heart framelets are lovely enclosing the sentiment and just a few grasses from the 'Wetlands' set and another piece of burlap ribbon. The parquet floor paper is another sheet from this stack. So which of the cards using this paper stack are your favourites? Today I have used the same paper stack as yesterday but these are far from simple cards! Infact this is the first shaker card I have ever made. Although I am happy with it it does need a bit of improvement. The shaky bits have stuck to the acetate so next time I will swipe everything with the duster buddy. I have added gold sequin stars and hearts, silver and white bugle beads and some mini yellow and white sequins. 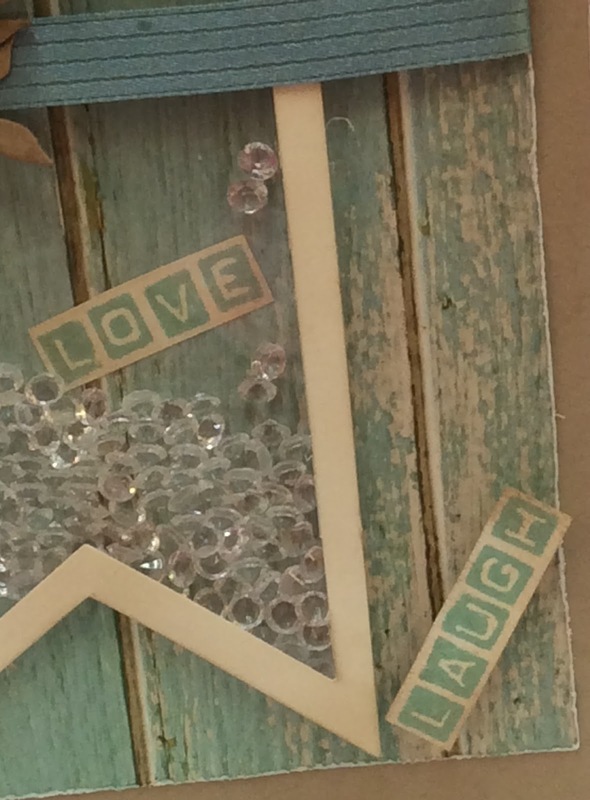 The 'Happy' is stamped with the 'Labeler Alphabet', unfortunately the sequins have stuck to the happy! 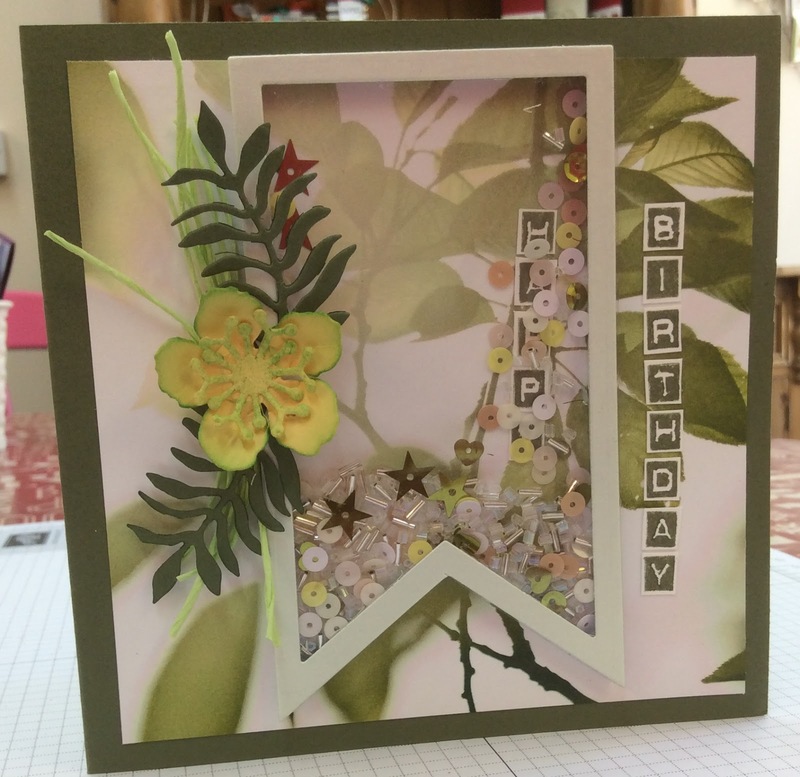 For the flowers and leaves I have used the botanicals dies plus a little daubing. I love the way the paper shines through. 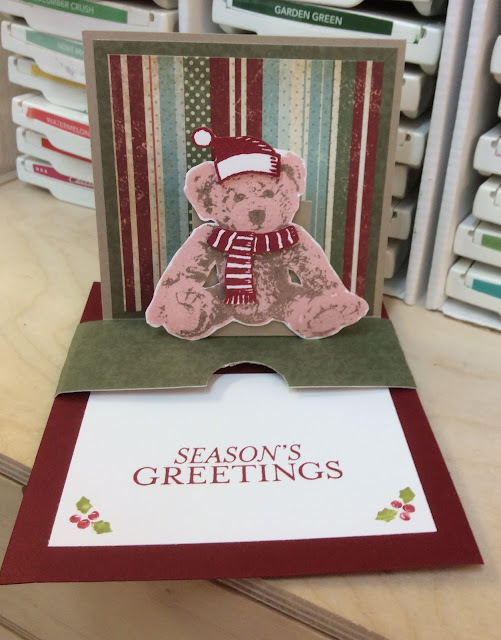 This is second shaker card made by Elaine, we worked together this morning. We had been meaning to do shaker cards for a while. We chose a different piece of DSP from the stack and off we went. 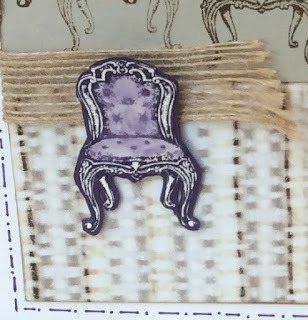 Hers is in pool party and crumb cake, a very different composition but we have used the same set of stamps and dies, but this shows you two very different looks. The flowers have been die cut from vanilla and daubed, the centres cut from pool party and daubed. I love both of them, which do you like best? Today I start with two very very simple cards using the Serene Scenery paper stack. It is beautiful. I feel a series of cards coming on! The paper stack is 6" square so when making C6 cards you should be able to get 2 cards from each sheet. This only occurred to me after I had made these 2 cards! There are so many different ways this paper could be used and it does depend on what stamp sets you have but the basic designs are simple and easy. 48 sheets in each stack thats 96 cards! Both double mounted on soft sky and crumb cake. The paper is stamped with Wetlands and a sentiment from 'Crazy About You. Ideal for a male birthday, clean simple no fuss. I'll be back tomorrow with two very different ones. Another late post but I have been busy finishing this off. Its not quite how I wanted it to turn out so another one has been started. I have really enjoyed making this and I hope you like it. I started with the woodland embossing folder. The trees were cut out and daubed a little. I have added these to the frame and trimmed the bottoms so they could wrap around and into the frame. The cherries have been fussy cut them coated with the fine tip glue to make them shiny. 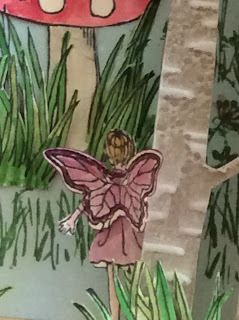 The fairy has been cut out and an extra pair of wings added. I have cut an extra layer of long grass for the bottom of the toadstool. The leaves at the top of the frame are die cut with the botanicals. I needed these as the tree trunks didn't reach the top of the frame!!! That word its too early to use! Yes I know its still July but you have to plan ahead. 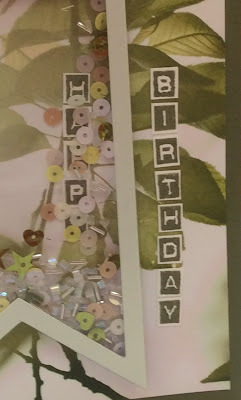 These two makes are for our next 10 for £10 class, the cards are simple, stylish, one layer so cheap to post. This stamp set 'Joyful Nativity' is in the annual catalogue and it appealed to me immediately . The two cards use all the stamps in the set. Both cards are created in Night of Navy with a touch of gold. The star is so pretty and a good size I have used it on both cards. I did think of using the matching thick bakers twine .....perhaps on the next one! This second card again in Night of Navy with a touch of gold. The nativity scene is so traditional, this little calm scene is beautiful. The small stamp of buildings with one palm tree I have stamped 4 times across the card. I could easily send out 5 of each of these.